Booking a service is as easy as calling Viva Auto; your reliable car repair Richmond Adelaide. We may ask the model and year of your car, travelled kilometres and what kind of service you require. This information should all be detailed in your log book, and of course we can also do specialist repairs. If you’re unable to answer these questions, no problem! Bring your vehicle down and we’ll give it a standard service to give you an update on your car’s status. Safety, smart financing and warranty compliance are a few important reasons why you should consider a service. Viva Auto value the safety of your family and strive to create a simple service which reflects our professionalism. If you’re looking for a reliable mechanic, call our car repair Richmond Adelaide and we’ll solve any of your dramas. Getting your car serviced is now as simple as ever, and our car repair Richmond Adelaide is a great location for our customers. There are plenty of ways to kill time before picking up your serviced car, with the option of grabbing a coffee at one of the local café’s. Secure your next service today and call (08) 8125 5981. 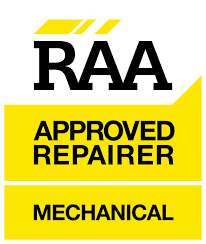 The most important reason why you should book in at our car repair Richmond Adelaide is to enhance safety. Protect yourself, your passengers, and those who share the Australian roads with you! If you go without servicing your car you could miss major defects. These problems will lead to unexpected malfunctioning, which could put you in grave danger. While forking out for a service seems like an inconvenience, managing your vehicle’s performance saves you plenty down the track. New oil filters keep your engine running at its best; leading to a greater fuel economy. At Viva Auto, we also install LPG tanks which are designed for cheaper motoring, as LPG can be up to 50 cents less than unleaded petrol. Need advice from our car repair Richmond Adelaide? Ring us for a quote on (08) 8125 5981. Viva Auto are your credible option for car repair Richmond Adelaide. In most cases, your car warranty will only remain in effect if you follow the service guidelines from your dealer. The service time frame will vary depending on how many kilometres you drive. However, it’s a great incentive to manage your car while securing financial coverage. Viva Auto repair will fill out your log book and inform you of any problems in a detailed feedback form. We all know vehicles are incredibly quick to depreciate these days. But fortunately, regular servicing can help slow down the process by keeping you on top of wear and tear. Call our car repair Richmond Adelaide, we’ll book you in at the soonest available date. Our mechanics will present you with an accurate service time-frame in consideration of your busy schedule.